Even prior to the start of Baselworld, watch collectors and enthusiasts like were wondering how renowned watchmaker Rolex would mark the 50th anniversary of the Cosmograph Daytona. 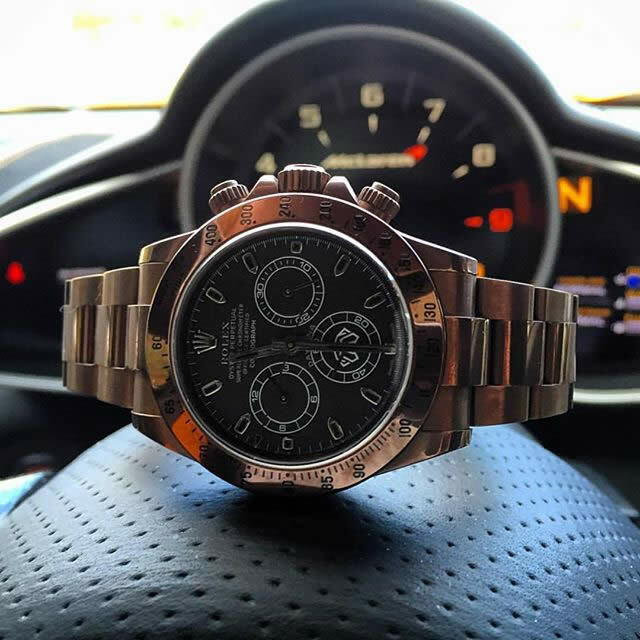 The answer was nothing short of surprising for Rolex fans – the very first Daytona in platinum with a blue and brown combination and a price tag of approximately $75000. 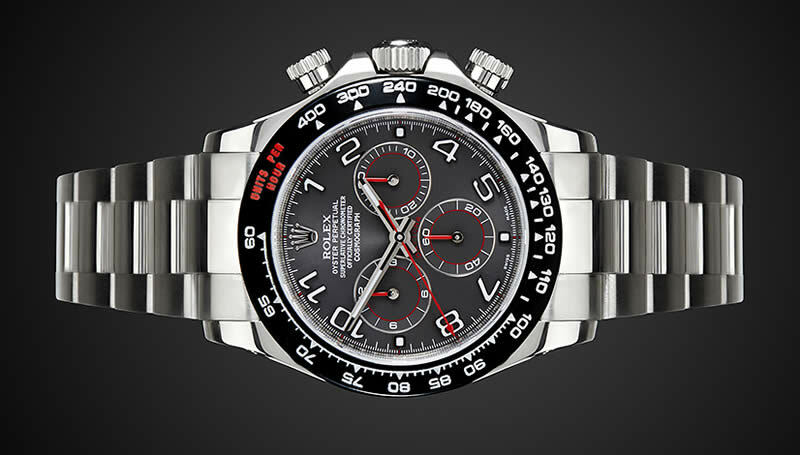 The hallmark of the Daytona, which is the tachymeter bezel was made of Cerachrom material (a proprietary material from Rolex) and it’s corrosion-resistant ceramic that is very durable and tough. It has engraved numerals and a thin coat of platinum for the graduations which are applied by means of PVD. The case measures 40mm in diameter and it is water-resistant to 100m. The winding crown has the Triplock system that makes it water resistant and is a patent of Rolex. The case was machined from a 950 platinum solid block and features a polished finish. The Triplock system screws down secures the case and is further protected by a crown guard. The crystal is sapphire. The chronograph subdials’ outer scales are made of brown lacquer which contrasts the ice blue dial and matches the bezel. 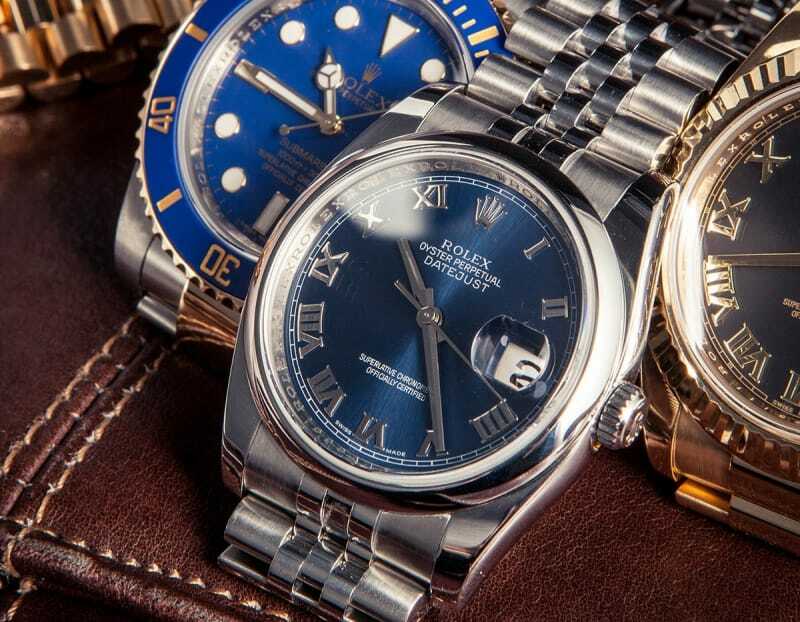 There are white gold borders on the scales and it’s also featured on the hour markers and hands which have Chromalight coating which lasts longer than 8 hours according to Rolex. The Caliber 4130 movement, a Rolex’ manufacture powers the watch and it is COSC-certified a self winding column wheel chrono movement. It has a vertical clutch, a Parachrom hairspring and a bidirectional rotor on a ball bearing. Parachrom is an alloy of oxygen, zirconium and niobium and it stays stable through temperature changes and is also resistant to shock. This watch showcases a 950 platinum solid-link Oyster bracelet fitted with the Oysterlock safety clasp to prevent accidental opening. It is also equipped with Easylink quick extension system which allows the user to adjust the length of the bracelet by 5mm without the need for any tool.